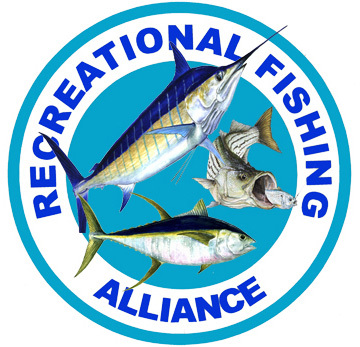 The RFA was the first national, grassroots political action organization established to represent the rights recreational fishermen and the recreational fishing industry as a whole on marine fisheries issues, it is our mission to safeguard the rights of saltwater anglers, protect marine, boat and tackle industry jobs, and ensure the long-term sustainability of our Nation’s saltwater fisheries. 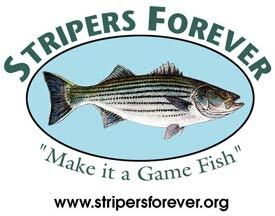 Stripers Forever, a non-profit, internet-based conservation organization, seeks game fish status for wild striped bass on the Atlantic Coast in order to significantly reduce striper mortality, to provide optimum and sustainable public fishing opportunities for anglers from Maine to North Carolina, and to secure the greatest socio-economic value possible from the fishery. By eliminating commercial exploitation of the #1 recreational saltwater fishery on the east coast, over 3 million recreational anglers will enjoy the social and financial benefits that will come from an improved striped bass population. The menhaden fishery is the largest in the continental United States by volume. The massive harvest is divided into two parts, a reduction fishery that accounts for 80 percent of the nearly half a billion pounds of menhaden landed each year, and a bait fishery that harvests the remaining 20 percent. The population of Atlantic menhaden is at an all-time low: the stock has fallen over 90 percent in the last 25 years. 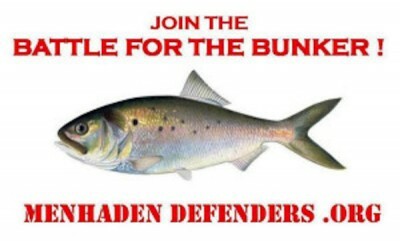 The loss of menhaden spells disaster for striped bass, tuna, bluefish, weakfish, osprey, whales, and other fish, birds, and marine mammals that feed on menhaden. Each species occupies a crucial niche in the ecosystem, and the removal of prey or forage species like menhaden disrupts the system and threatens the fish higher in the food chain. Check them out on facebook. 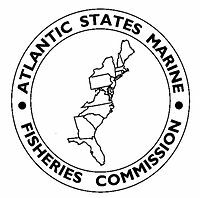 The Atlantic States Marine Fisheries Commission was formed by the 15 Atlantic coast states in 1942 in recognition that fish do not adhere to political boundaries. The Commission serves as a deliberative body, coordinating the conservation and management of the states shared near shore fishery resources – marine, shell, and anadromous – for sustainable use. Member states are Maine, New Hampshire, Massachusetts, Rhode Island, Connecticut, New York, New Jersey, Pennsylvania, Delaware, Maryland, Virginia, North Carolina, South Carolina, Georgia, and Florida. Each is represented by three Commissioners: the director for the state’s marine fisheries management agency, a state legislator, and an individual appointed by the governor. Commissioners participate in the deliberations in the Commission’s five main policy arenas:Interstate fisheries management, research and statistics,fisheries science, habitat conservation, and law enforcement. The one-state one-vote concept allows Commissioners to address stakeholder-resource balance issues at the state level. Click here to learn more. 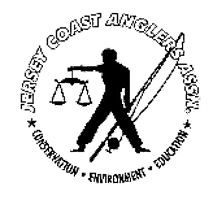 The Jersey Coast Anglers Association (JCAA) is an association of more than 75 saltwater fishing clubs that represents the position of marine sport anglers, champions their causes and protects their rights in matters pertaining to fishing, fisheries, and environmental quality. In doing so, JCAA often works in concert with major environmental organizations and other influential associations of sports clubs. Learn more. 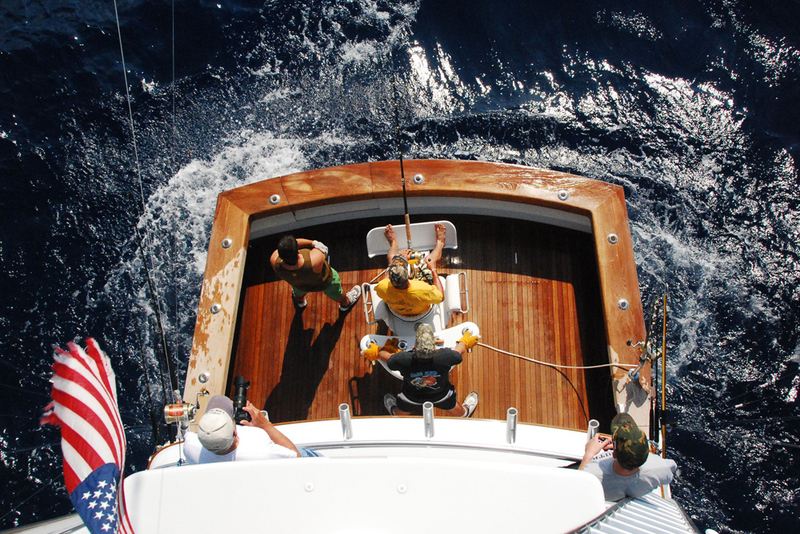 The RFA was the first national, grassroots political action organization established to represent the rights recreational fishermen and the recreational fishing industry as a whole on marine fisheries issues. It is our mission to safeguard the rights of saltwater anglers, protect marine, boat and tackle industry jobs, and ensure the long-term sustainability of our Nation’s saltwater fisheries. Learn more. NOAA is dedicated to protecting and preserving the nation’s living marine resources through scientific research, fisheries management, enforcement and habitat conservation. 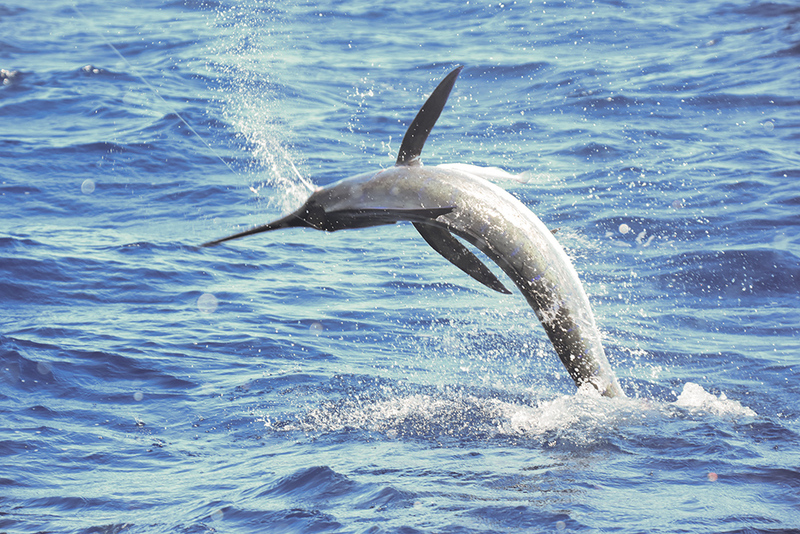 National Marine Fisheries Service (NMFS) or NOAA Fisheries is the lead federal agency responsible for the stewardship of the nation’s offshore living marine resources and their habitat. NOAA Fisheries manages, conserves and protects fish, whales, dolphins, sea turtles and other living creatures in the ocean. 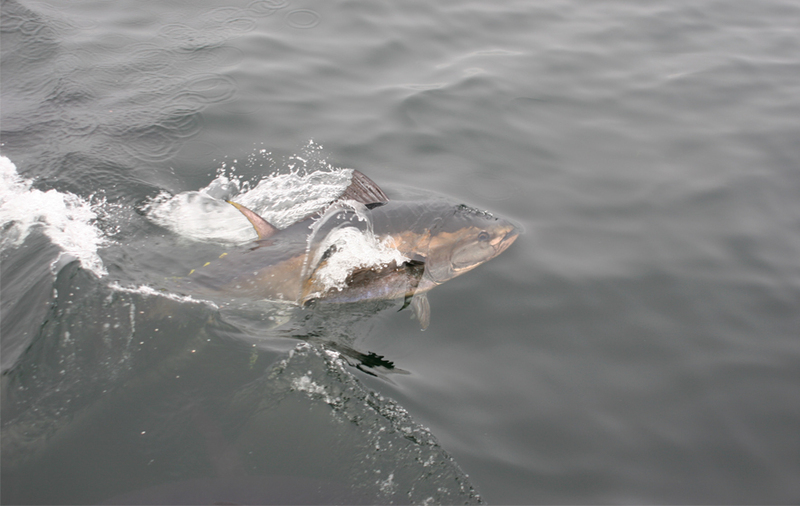 Learn more about NOAA Atlantic Highly Migratory Species… here And NOAA Recreational Fishing.